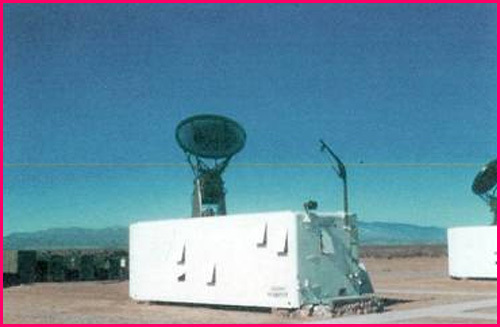 One of the six M-33 Radars at Oscura Range Camp. The large antenna left of center is the Target Acquisition Radar, which scans a 100 mile radius and can designate targets for the Track radar mounted atop the Van. This is a close-up of the M-33 Tracking Radar mounted atop the Van. 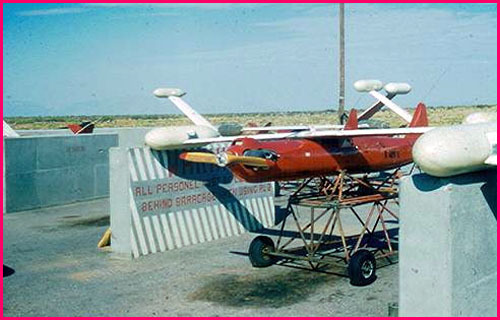 It also had an optical periscope which was boresighted to the radar for positive target identification. Bunkered RCATS at the Rotary Launcher. 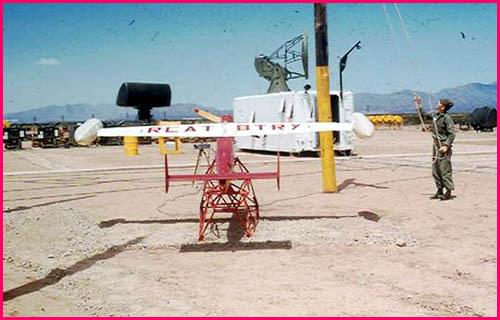 This one is mounted on the trolley, ready to roll out onto the runway when called for by the Nike Ajax units at Red Canyon Range Camp.